Born in Quebec City, Florence April-Borgeat began her studies in art at a local college and pursued her studies in visual arts at Montreal’s Concordia University. Between 2000 and 2006 she worked in the costume and accessories departments in the film industry. Her return towards visual arts followed after she became the assistant to the renowned painter, Paul Béliveau. Their collaboration lasted almost five years, during which she also worked on the production of other projects with artists Cooke-Sasseville and Danielle April. 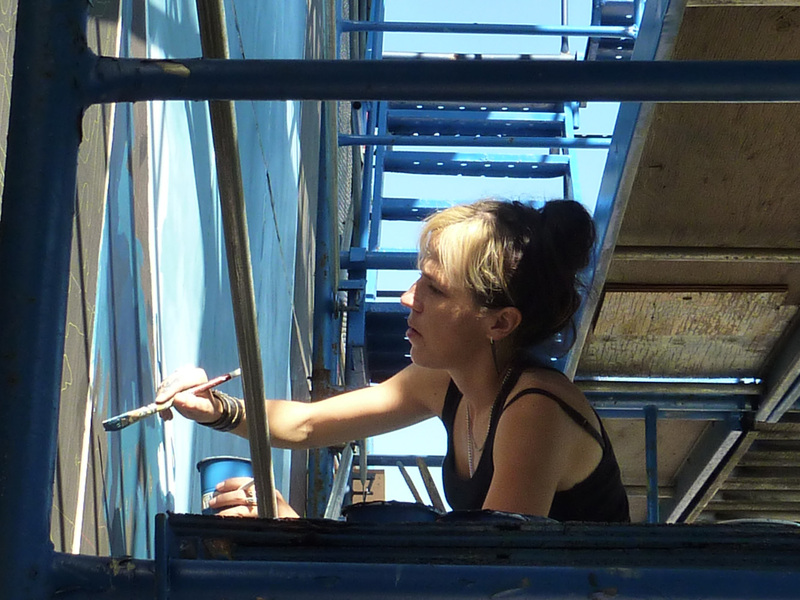 In 2011, Florence began solo painting projects, represented by the Bellefeuille gallery. Video - LES GRANDS DÉBORDEMENTS – Mural comes alive!